Connectivity, system bandwidth, rise time, and probe location must be carefully considered when probing any target. In addition, the non-ideal probe exhibits parasitic effects that interact with the DUT and can pollute the measurement if not managed properly. 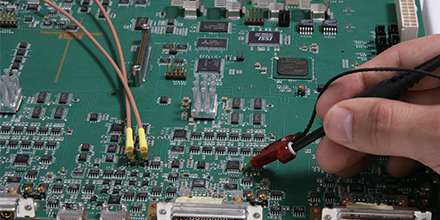 Engineers must commonly probe low and high frequency signals with high signal fidelity. Typical passive probes with high input impedance and capacitance provide good response at lower frequencies, but inappropriately load the circuit and distort signals at higher frequencies. Cost: FREE, registration is required to hold your seat. PLEASE NOTE: All visitors must provide valid government photo identification prior to gaining access to a Teledyne facility. This can be in the form of a driver's license or passport.